Free live music every Tuesday at 7:30PM! 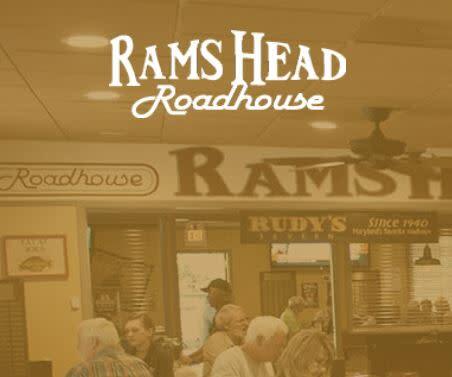 Rams Head Roadhouse opened in 2004 at the former site of Rudy's Tavern off of Generals Highway. A local favorite, Rams Head Roadhouse serves over 40 sandwich and burger combinations, pizza and more. Featuring Happy Hour Monday - Friday from 4 to 7 p.m., Live Music and Sunday Brunch, the Rams Head Roadhouse is the locals' watering hole.